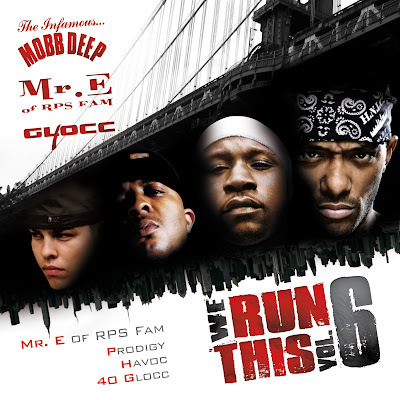 Mobb Deep & 40 Glocc – We Run This Vol. 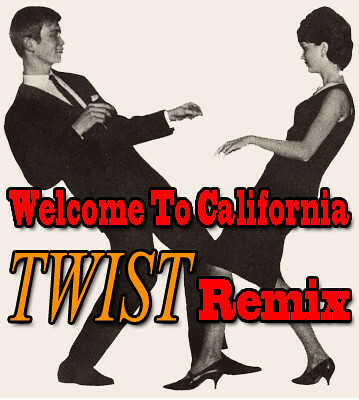 6 – In Stores Now!!! The infamous and legendary Hip-Hop duo Mobb Deep with the newly-freed Prodigy alongside West Coast heavyweight 40 Glocc joined forces with German DJ Mr. E aka “German Luger” of RPS Fam to announce the release of the mixtape “We Run This Vol. 6”, which is now available on iTunes and Amazon. The project features the best collaborations from Mobb Deep with Zoo Life’s head honcho 40 Glocc and blazing music with 50 Cent, Busta Rhymes, Chamillionaire, Lloyd Banks, Kurupt, Snoop Dogg any many more! “We Run This Vol. 6” is 24-tracks deep and delivers what’s hot in today’s Hip-Hop game with exclusive and unreleased music from Prodigy, who has been released from prison on March 7 after spending three-and-a-half years behind bars after pleading guilty to a weapons charge dating back to 2006. “We Run This Vol. 6” marks the perfect re-introduction of Prodigy and Mobb Deep to the worldwide Hip-Hop community and is sure to make your speakers going hammer! 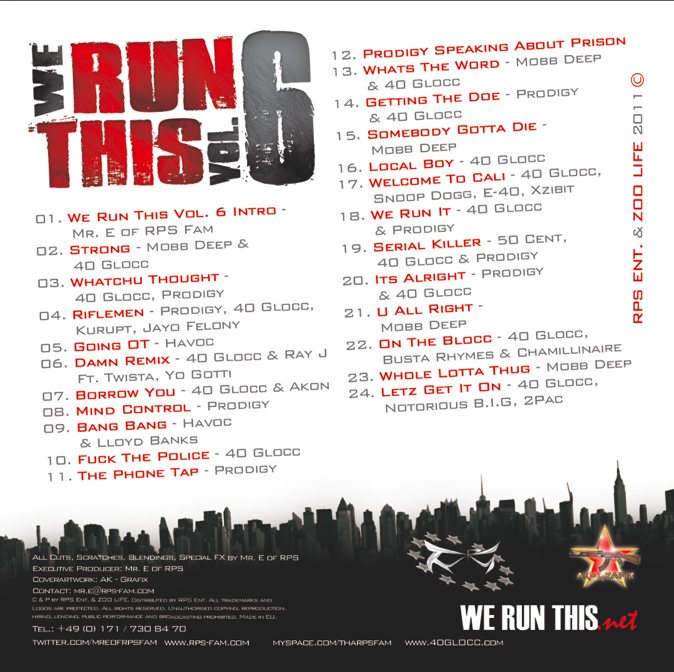 After 6 volumes, Mr. E’s entire “We Run This” mixtape series boasts some of the dopest Hip-Hop artists such as T.I., Ace Hood, Jadakiss, B.o.B, Styles P and many more! This latest volume is no different and not only showcases Mobb Deep and 40 Glocc’s lyrical ability, but also Mr. E’s incredible cuts, blends and mixes that makes this powerfull studio mixtape sound even more extraordinaire.